Sand L. Corrêa received the bachelor degree in Computer Science from the Federal University of Goiás (UFG), in 1994. In 1997, she received the M.Sc. degree in Computer Science from the State University of Campinas (Unicamp). She received the D.Sc. degree in Informatics from the Pontifical Catholic University of Rio de Janeiro (PUC-Rio), in 2011. 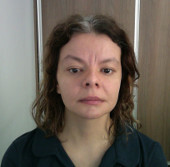 Since 2010, she is an associate professor in the Institute of Informatics at UFG. Sand's research areas are distributed systems and computer networks, focusing on: Modeling and Architecture of Computer Systems, High Performance Computing and Future Internet. She has worked on research projects about Future Internet, hybrid networks, and energy efficiency in data centers.